Basuto Ponies are from South Africa. They are derived from horses imported by Dutch settlers in 17th century. Basuto Ponies arrived in South Africa in 1653, when four horses were introduced to the Cape area by the Dutch East India Trading Company. The exact breed of these horses is unknown, but they may have been Arabian, Persian, or similar to the Java Pony. They were upgraded later with Arabian and Persian blood. These original imported horses became the founders of the Cape Horse, which became extremely popular and especially gained an admirable reputation during the Boer Wars. The Cape Horse and the Basuto probably were originally the same horse, and then with continual Thoroughbred and Arabian blood, the Cape Horse became a larger, more quality animal, with the Basuto remaining smaller and stockier. Lesotho, formerly known as Basutoland, acquired Cape Horses as spoils of war between the Zulus and the settlers. As a result of harsh conditions and interbreeding with local ponies, the Cape Horse lost much of its height and nobility, and the Basuto pony largely took its place. Due to the rocky and hilly terrain that the Basuto ponies were continually ridden over, often at great speeds, they developed into tough, surefooted animals with incredible stamina and bravery. These excellent qualities were very nearly the undoing of the breed. The Basuto became so popular that thousands were exported, and then many of the best horses were killed in action during the Boer War at the end of the 19th century. There is now a concerted effort to re-establish the commendable Basuto breed. 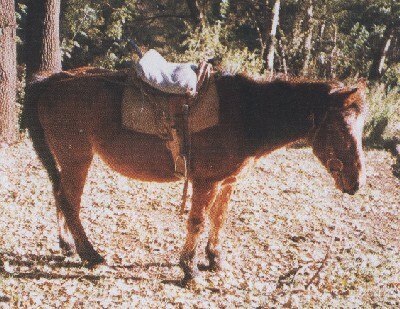 Basuto Ponies are considered a small horse, since they possesses horse-like characteristics, such as an exceptionally long stride. Basutos have a rather heavy head, a long neck and long, straight back, a straight shoulder, and a muscular, sloping croup. They have very tough legs and sound, very hard hooves. They can be up to 14.2 hands high but rarely taller. Basutos can be chestnut, brown, bay, gray or black, and have white markings. They are usually surefooted, fast, and fearless. They have several gaits: the walk, the trot, canter, the triple and the pace. They are considered a gaited breed.